"That's one small step for a man, one giant leap for mankind...." For most Americans, that's just about all they know of Apollo 11's historic mission--the fiftieth anniversary of which is July 20, 2019. What few realize is how much effort went into every phase of that mission and all the ones before it. Just the recovery aspect of Apollo 11 was a monumental task involving thousands of Navy, DoD and NASA personnel. Now, for the first time, that enterprise is explored in "Hornet Plus Three: The Story of the Apollo 11 Recovery." "Hornet Plus Three" follows the evolution of the planning by the Department of Defense (DoD) and NASA to achieve President John F. Kennedy's challenge to "[land] a man on the Moon and [return] him safely to Earth." To quickly recover manned spacecraft from the vast ocean, the Navy and DoD had to prepare elaborate primary and contingency plans. This book traces those plans, from the initial Mercury flights up through Apollo 11, the most complex of all recoveries. Many aspects are explored, including the USAF aircraft employed, the different Navy ships and their crews, and the rescue swimmers whose mission was to protect the astronauts after splashdown. The various Navy and Air Force units that effected the recovery--most of whom had recently served combat tours in the Vietnam War. The added complications of getting President Nixon aboard ship in the middle of the Pacific Ocean. Coordinating the media so that 500 million people world-wide could watch on TV as the President welcomed the astronauts back to Earth. The careful planning and implementation of quarantine procedures to deal with "Moon germs." 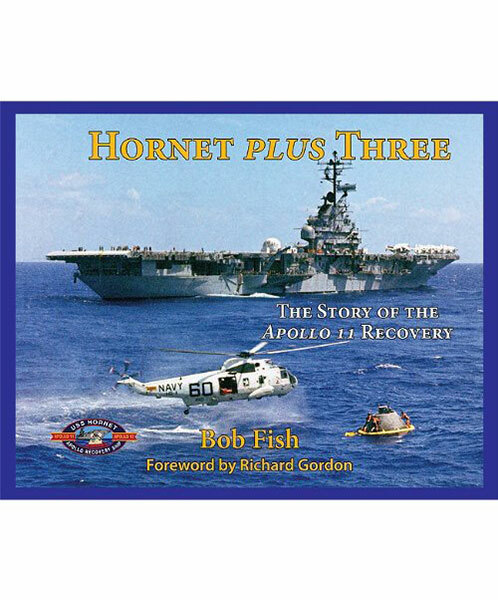 The Primary Recovery Ship, USS Hornet, did such an extraordinary job, it was selected to recover Apollo 12 four months later. Personal reflections from the Navy and NASA commanders who directed the recovery effort. Never-before seen photographs, charts and drawings.